that means "tree melon" since it has melon like berries. My drunken sleep left me no merrier. Replies: 'The wild quince trees - are as they were. 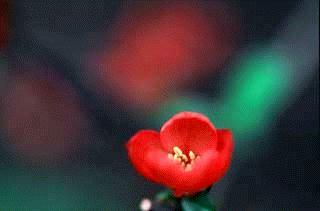 Their rose is waning and their green leaves grow. 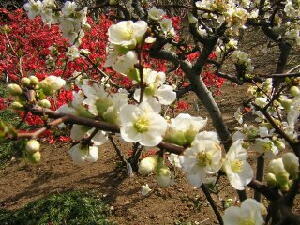 shrub or small tree of the Asian genera Chaenomeles and Cydonia of the family Rosaceae (rose family). The common quince (Cydonia oblonga) is a spineless tree with edible fruits cultivated from ancient times in Asia and in the Mediterranean area, where it was early naturalized. Its pome fruit is similar to that of the related apple and pear but is very astringent, and hence it is used chiefly cooked in preserves; marmalade is said to have first been made from quince. 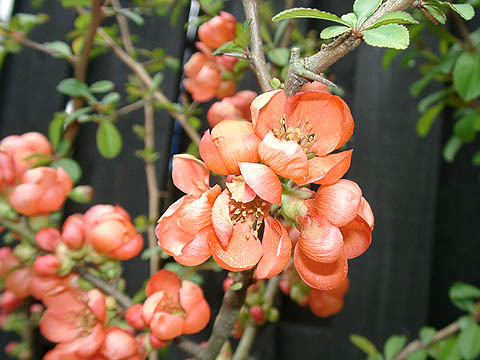 As a commercial fruit tree, the quince is cultivated more widely in the temperate zone of Europe than in the United States, where it is grown chiefly in California and New York. It is often used as a rootstock for dwarf fruit trees, especially the pear. 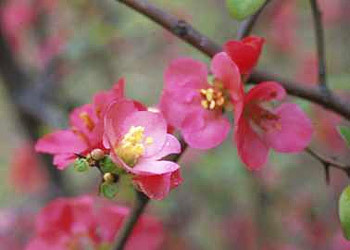 The flowering quinces (genus Chaenomeles) are cultivated as ornamental shrubs for their profuse, usually thorny branches and attractive scarlet, pink, or white flowers. The fruit is too small and hard to be of commercial value but is sometimes used locally. 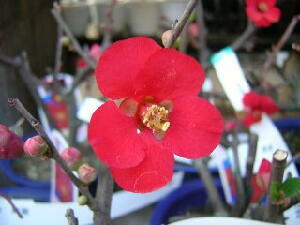 Best known of this genus is C. lagenaria, the Japanese quince, or japonica. 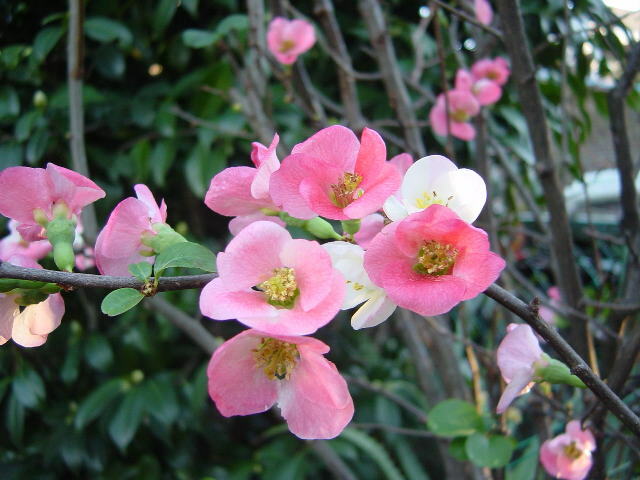 Some other Asian shrubs (e.g., a camellia) are also called japonica. 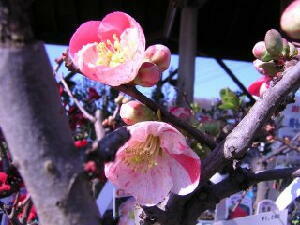 Quince is classified in the division Magnoliophyta, class Magnoliopsida, order Rosales, family Rosaceae.